DatabaseUSA.com® can help you deploy the most effective email campaigns. 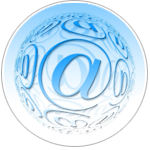 DatabaseUSA.com® offers a total email marketing solution, including Email Deployment. Our expert email team works with you to develop a customized, well-designed and accurately coded email marketing campaign. The DatabaseUSA.com® email campaign management experts are happy to walk you through the process of cleaning your customer emails, creating an email design, linked content, email deployment, and campaign analytics & statistics. From subject lines to mobile friendly/responsive design, DatabaseUSA.com® provides an all in one solution for your email marketing needs. Learn more about DatabaseUSA.com® Email Marketing Solutions here. The Call to Action or CTA is the key to boost conversions. A great Call to Action usually involves a click or tap that prompts users to make an immediate response. Call to actions can be used to download PDFs, filling out a form, buy a product or click through to another page. The email creative team at DatabaseUSA.com® can help you with this and all best email practices to boost your conversions. Avoid using too many images in your email. DatabaseUSA.com® recommends the 80/20 rule. This means, use 80% text & 20% image. An email that contains mostly images (that does not follow the 80/20 rule) will most likely trigger a spam filter. Remember to use 'alt tags' for your email images. An alt tag gives the viewer a full description of the image, even if the image is not viewable. This is helpful for email recipients who have an email provider they does not automatically load images. Include an actual street address with your email. Make sure you have a 'From' email address that accurately reflects your business, and not a reply email that seems spammy like: 1234rain.g@gmail.com. Complete the form or call us at 877.407.0101 for more information on our Email Deployment Services.